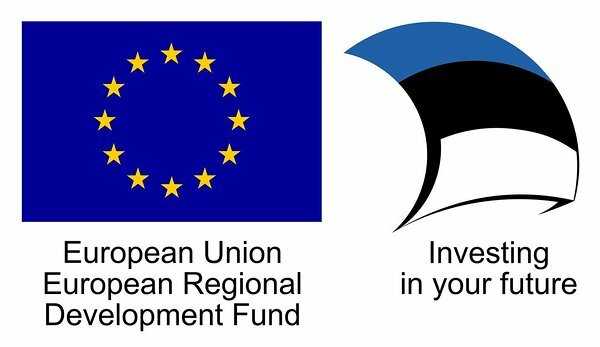 We are pleased to announce the European Union European Regional Development Fund (ERDF) is supporting the "Garage48 Hardware & Arts” hackathon at the UT Institute of Physics for next three years (Feb 2018, Feb 2019, Feb 2020). ERDF total support amount is 40 000 €. “Garage48 Hardware & Arts” is a hackathon engaging people from different levels of experience: from talented students to experienced professionals from the field of design and technology and start-up entrepreneurs. The aim is to build physical innovations - we are expecting working prototypes that we can touch, feel and see in real life, added with some digital flavour. We welcome UI / UX designers, product designers, electronics engineers, mechanics engineers, server programmers, mobile or web apps developers, marketers / business superstars and life scientists to participate in this game-changing hackathon. “Garage48 Hardware & Arts” participants will work in teams that will be put together at the event. The teams will then have an adrenaline-filled 48 hours to create working prototypes out of the presented ideas. “Garage48 Hardware & Arts” is organized in co-operation with the University of Tartu and the Estonian Academy of Arts.